Are you are a business or property owner needing to build, but you don’t know where to start? Who hires the architect, engineers, and general contractor? Who gets all the permits? What you need is a construction manager. Large corporations that do a lot of building have one on staff, but you don’t need to hire someone full time for a one-time job. When you hire 4JCON to manage your construction project in the Bay Area or beyond, you get a construction expert on your side of the table. We speak their language and translate back to you so that you are equipped to make the best decision. We are your advocate with the contractors from concept to completion. Having the right hands on the job makes all the difference in the world! 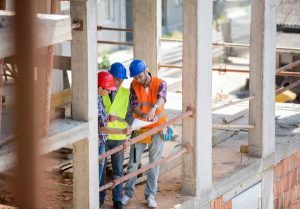 As an owner, you want consistent performance, quality construction, open communication, and to trust that your construction manager has you covered. That will free you up to go do what you do best while we do what we do best. That is why you need to partner with 4JCON. Our purpose is not only to build great things but to develop long-lasting relationships that are built on trust. Like each brick builds a wall, each decision we make with you and for you will build the trust you need in order to have peace of mind that your project will be completed under budget and on time. 4JCON has over 2 decades of experience working in the San Francisco Bay area, and we know the right general contractor’s subcontractors for each job. When you have the best workers for the price, the budget and timing take care of themselves. Our goal is to take care of your construction management needs so well that we earn your general contracting business. Let us show you how well we can serve you. Call 4JCON at 530-588-9366 to get started on your next project!